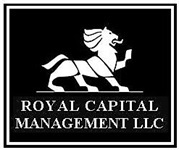 We have been managing money for individuals and businesses for more than four decades. During this time our approach has not changed. Seek to outperform the benchmark, and do it with less volatility. This means while understanding people have different risk tolerance levels, and some money may be allocated for more aggressive investing, controlling risk is, and always will be, a fundamental philosophy of our firm. We use our knowledge as a CERTIFIED FINANCIAL PLANNERTM and our extensive experience of the financial markets to develop well thought out strategies to build our clients' wealth and protect it for their families.